Home » 9-5 & Beyond » Skype-tini Anyone? About a year ago I made a major change in my life and moved from upstate New York to Maryland. I hated leaving my country home and friends, but work was limited in Cambridge and most of my free-lance clients were based in the Washington D.C. area. I started working a 4-day week for the School Programs at Kennedy Krieger Institute, which gave me some steady income while still working my free-lance gigs for Discovery. Anyway…., a year goes by and I return to Cambridge to visit with some friends, check on my house (it’s rented right now), and attend my friend Jayne’s art show opening at the Small Gallery. I really love my friend Jayne. We share a great deal of the same interests and have the same quirky sense of reality. She lives in a beautiful house with an amazing view of the Green Mountains of Vermont. In fact, we had a ritual of getting together on Thursday nights to have a martini and just catch-up. Our conversations ranged from cooking to Buddhist practices, movies, book, computers, to the latest local art news and personal issues. I hadn’t realized just how much I missed our conversations until I saw her at the show opening. But then it struck us…. Jayne: What’s your Skype name? Debra: Let’s Skype on Thursday just to talk. BUT WAIT! I’VE GOT IT! We’ll Skypetini. We can each make our favorite cocktail and still share our conversations even though we are separated by 500 miles. So on Thursday past, we did just that. We talked for over 30 minutes laughing and sipping and reconnecting to each others’ lives. We decided to make it a regular thing. This made me reach out and Skype with other girlfriends from all around the world. I spoke with Liz in Abu Dhabi for 45 minutes today. Tomorrow I’m going to spend some time with Katy, or Marta, or John, or some other friend. Skype is making me feel connected, not so alone in my new surroundings. I love to share a cocktail with friends, but hate to drink alone (in fact, would not make myself a “tini” just for me). Now I can Skypetini all around the world. How about it….Skypetini anyone? 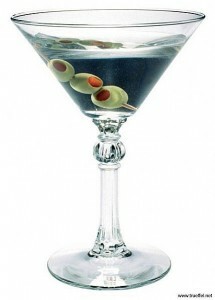 I love mine stirred, not shaken….extra olives please. I love this idea. 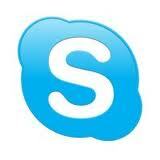 I’ve never really explored Skype, and this would be fun. I’m kind of a Bloody Mary sort of gal, though… how much of a purist are you regarding the Tini part? Wondering how many “skype-tini” GNO there are w/ girlfriends catching up with each other all over the world. Make mine shaken w/ extra olives too!